The place for ghosts and old dolls. Most people don't spend much time in the attic, but unobserved moisture accumulation usually leads to mold. In the northwest suburbs of Chicago, it is very common to find mold in attics due to condensation or frost building up over cold winters. Why winter? Extreme cold leads to frost on the surface of the attic, but when drafts come into the attic, the temperature will rise to just above freezing, melting the frost to create a very wet environment. 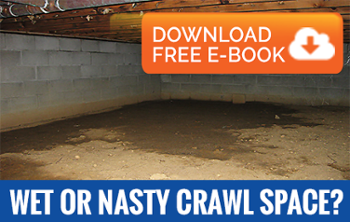 How can you keep control of moisture in your attic without braving the creepy crawlies and insulation every few weeks? The ATMOX ventilation system runs fans when both temperature and humidity makes it necessary. When the temperature is hot and the air is humid, the system will keep vents closed, but when the outside air is dry and cool, the system will begin to vent the outside air in. With the entire system running on a normal 12 volt DC current and the cost only 1/3 or 1/2 less than dehumidifying and sealing based system, it is an easy choice. The dew point comparison will keep the air in the best conditions to avoid moisture accumulation. AdvantaClean of NW Chicagoland provides the best service with the best system to keep moisture out of your attic. Moisture in the attic may also be caused by improper insulation, exhaust vents going into the attic, or roof leaks. Call one of the specialists at AdvantaClean to determine the cause and solution for the moisture in your attic.